The viewport drawing code in particular will need a heavy rewrite, because support was dropped for the calls sprytile currently uses. Do you mean those calls to glBegin(), glEnd() and everything else gl-related? I've seen a lot of them. So they aren't work anymore? Yes. You can try it too. I'm stuck at the paint/build tools. They doesn't works and tileset widget doesn't come ups. It's complicated because I don't getting any errors. So everything else doesn't work including paint and build tools. 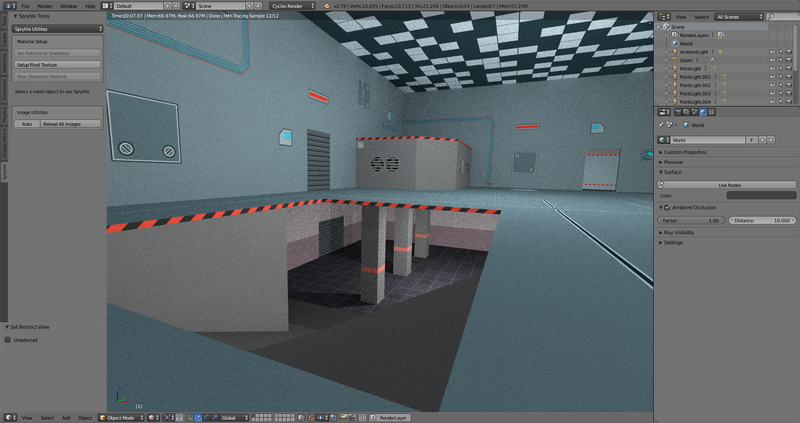 I don't know how long it takes to finish it because I don't have an experience in Blender Addons. Any help with that would be appreciated. Nothing changed. I think it always worked. 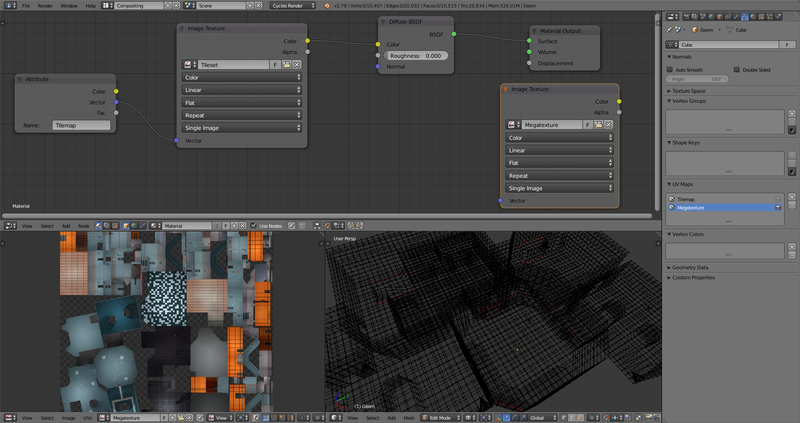 The cycles just requires a material, which uses a nodes (my last screenshot). 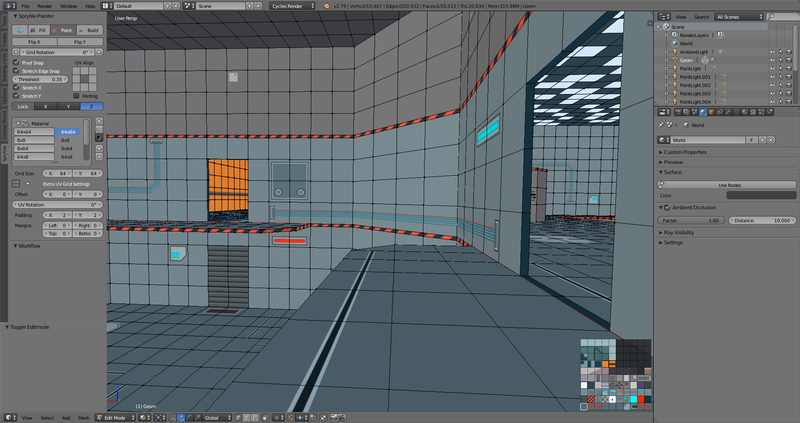 Making a level for the third person shooter game. 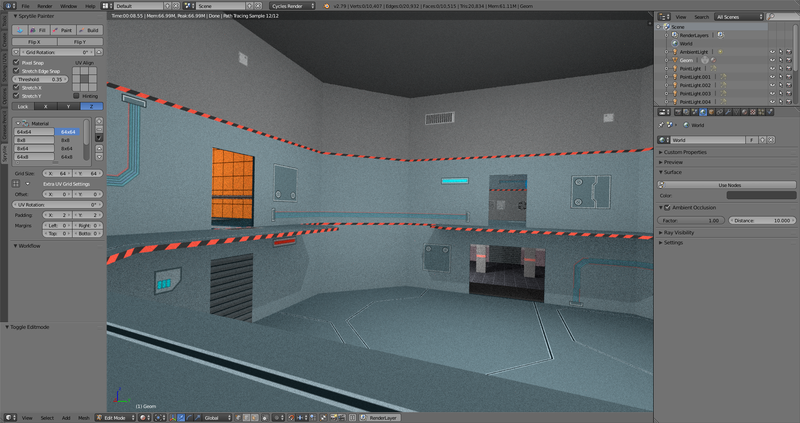 I'm using a Cycles material and 2 separate UV maps for tiles and baked texture (megatexture). 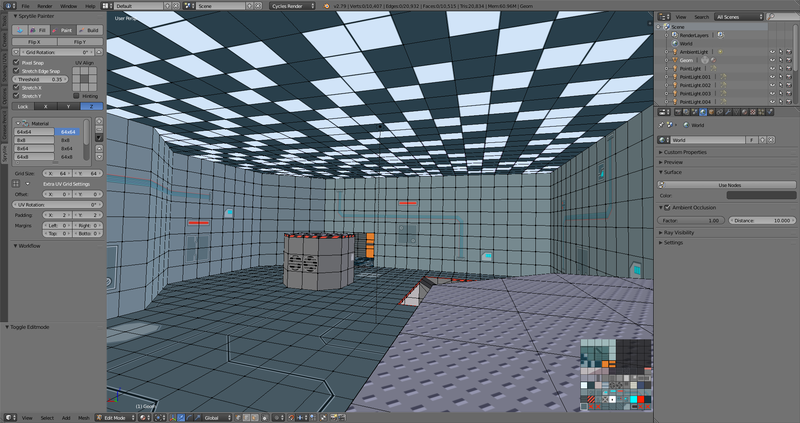 I also using tileset in 2 separate sizes: 64x64 for Sprytile and 256x256 for Cycles.